Blue Angel Clematis: light blue clematis. 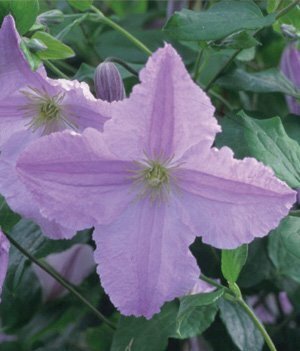 Blue Angel is the lightest of the almost-blue clematis. He scrambles through our lilacs with abandon. Pair Blue Angel with a dark purple like Polish Spirit or Rooguchi for great contrast.